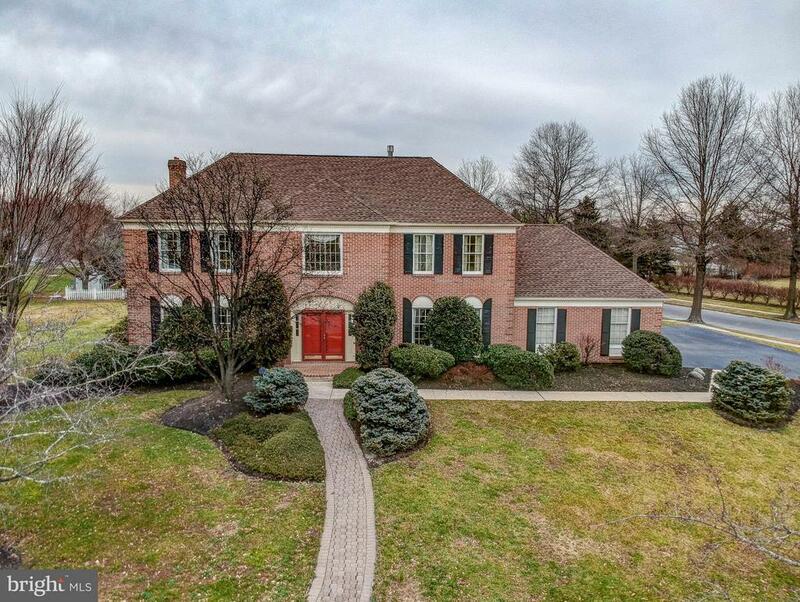 This stately 5 bedroom brick front Arlington model in Millbrook is now available! A two story entry foyer and a butterfly staircase, flanked by formal living room and dining room , welcome you to this elegant home. The family room has a wood burning brick fireplace and there is a French door to the custom deck. The spacious gourmet kitchen has a center island, granite counters and a new stainless refrigerator. Step down to the bright breakfast room with another French door to the deck. The main level offers a 5th bedroom with full bath, ideal for guests, au-pair, or in-law suite. The laundry room with washtub sink is also on the main floor. The upper level offers a generous master suite with 2 walk- ins and a spacious master bath along with 3 other well-sized bedrooms and main bath. The basement is finished and it also offers a large storage area. Step outside onto a large custom deck overlooking the in-ground pool and hot tub for your outdoor enjoyment and relaxation. There is a 3 car side entry garage. The roof, AC and water heater are 3 years old and there is a 2 zone heating system and a security system. Located near the Mercer County Park, train station, shopping, schools and restaurants, this home has so much to offer and is ready for you! Dont miss this one!